One million rural households will receive quality health and hygiene products, as Project Hope scales up. 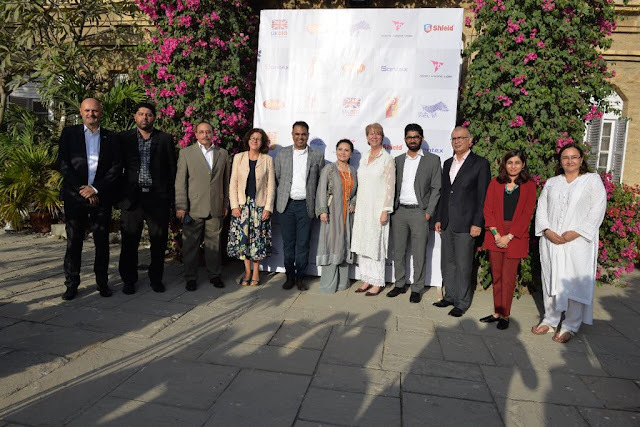 Project Hope is an initiative founded by Reckitt Benckiser (RB) Pakistan and supported by the UK Department for International Development (DFID) to ensure rural development and women empowerment in Pakistan. To scale up Project Hope, a new entity is being set up which includes investment from Reckitt Benckiser Pakistan (the makers of Dettol, Mortein and Harpic), DFID supported Rural Support Programmes Network, and four Pakistani private sector companies which include: English Biscuit Manufacturers (EBM), Shield Corporation, Shan Foods and Santex. All product partners will be providing quality health and hygiene products to the women micro-entrepreneurs, sehat aapas, to help them earn livelihood as they sell these products door-to-door within their communities reinforcing good hygiene practices. This announcement was made at a press conference by Patricia O’Hayer (Global Head of External Communications and Affairs, RB) and Laura Kelly (Head of Business Engagement for the Department for International Department in the UK) along with top management officials from all the key partners. In Pakistan, DFID is working with the Government and the private sector to strengthen institutions, deepen markets and build systems to stimulate sustainable and inclusive private sector-led economic development. The aim is to be a catalyst for change by: demonstrating successful business models which the private sector can replicate and scale-up; creating standalone institutions which will continue to help poor people long after DFID support is concluded. Harpic, Mortein, Clearasil, Strepsils and Veet.